Whither Whittlesford was first published in 1975 and copies are available to download on this page. In the early days, each edition was hand-typed and photocopied so, unfortunately, the quality and legibility of some copies are not very good. If you would like to see any of the originals from our archive, the Publications Editor will be happy to help. See ‘Contact Us’ for details. 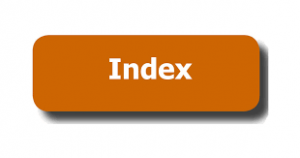 If you are looking for a specific topic, we have created a comprehensive searchable INDEX below. Click on the icon to open the file. Click ‘Ctrl F’ to open a search box. Type in your search term in the search box and press enter or click on the right arrow. Scroll down to see your search terms highlighted throughout the document. Note the issue and year that you are interested in. Close the tab at the top of the page to exit the list. All but the most recent editions of the journal are available in full in pdf format. There is a brief description of content next to each edition. You can also download the contents listing by clicking on ‘Whither Whittlesford INDEX‘ below. All of the past issues from Issue 1 in 1975 up to and including all of 2015 can be found below where you can select past editions for FREE download. If you want to purchase the most recent editions from 2016 and 2017, these are available from the Publications Editor and we can supply a copy by-hand for the cost of the photocopying (locally) or post a copy at cost and the post and packing. 2 Whither Whittlesford No 120 Spring 2017 Coming events AGM; Memories:- Sheila Tofts + coach trips; Whitsers Jubilee; Public Footpath Map; Archive Project Years; Archaeology Group;-WW1 research project Cyril Jones; Wildlife: Hedgehog rescue. 3 Whither Whittlesford No 119 Summer 2016 Activities since last issue + coming events; Ruby anniversary pt4; Archaeology; Project; Progress WW1+W00; News from WW school & both churches; Neighbourhood Plan; Village memories of 1920s. More on Poppy plaques. 65 Whither Whittlesford No 024 Autumn 1981 Orbituary - Jane Elizabeth Douglas; Our Neighbours -Chrishall; What's in a Name; The Adventure Club; Village Memory 1915-1930; Village Industry - Dumbleton Studios Ltd.